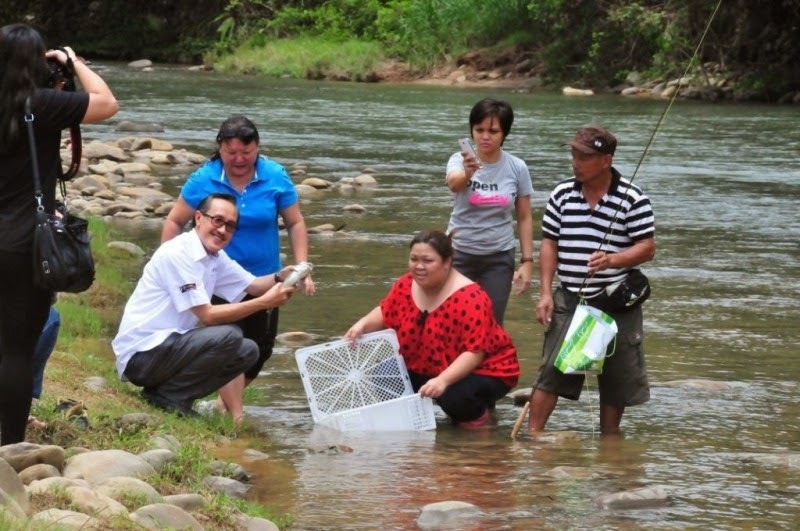 Babagon River, which flows through Kampung Babagon here, can be a tourism attraction for the district, said Tourism, Culture and Environment Minister Datuk Masidi Manjun. Masidi, when met at a gathering with members of the social media at Kampung Babagon yesterday, pointed out that Babagon River is one of the most beautiful rivers in the state. “It has its own special attraction and this location can be promoted to tourists from all over the world,” he said. According to Masidi, he was made to understand that Kampung Babagon, which practises the “tagal” system, is already a popular destination among foreign tourists but is relatively unknown among domestic visitors. The tagal system is a community-based fisheries resource management system practised by many riparian communities in Sabah. It is a stakeholder-driven system of rehabilitation, protection and conservation of the river environments and the fisheries resources for its sustainable development. At the moment, the number of tagal areas established in Sabah has multiplied to more than 200 involving 107 rivers in 11 districts. Protection of the tagal system rivers’ environment and its enforcement are in the hands of the elected Tagal Committees. At present, the enforcement of the prohibitions is through the imposition of native customary laws that are backed by the Native Court. Masidi also expressed hope that domestic tourists will choose Kampung Babagon as a location for recreational activities in the future. He added that netizens on social media websites, such as Twitter, have a very wide influence in the promotion of tourism products. The recreational area in Kampung Babagon is located just by the river side and is equipped with a mini hall, toilets and food stalls. Anglers can also try their hand at fishing for “pelian”, but only on a catch and release basis for a fee.